Last Updated: End of 2014 Season. *Huddersfield includes seasons spent as Huddersfield/Sheffield Giants. 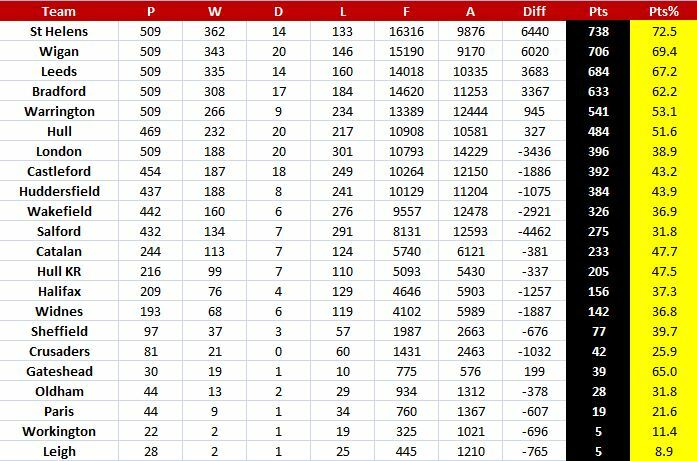 Table does not include points deductions.